Throughout the National Nutrition Communications Campaign, staff from IMA World Health met regularly with with key decision-makers in target districts to facilitate public discourse about stunting, increase awareness and urge leaders to support stunting reduction policies and programs. olitical commitment, from the national level to the local, is critical to achieving sustainable gains toward public health goals. From 2014-2018, IMA World Health worked toward a lofty goal: to reduce stunting in Indonesia, where more than one-third of children under age 5 are stunted. Thanks in large part to IMA World Health’s continuous advocacy work through the National Nutrition Communications Campaign, the government of Indonesia is now prioritizing stunting in the 100 districts with the highest stunting rates and number of stunted children. Stunting is a public health problem with significant long-term implications for overall health, physical and cognitive development and longevity. At the start of the NNCC, IMA conducted formative research to understand public perception of stunting and its causes in the campaign’s target regions. This research showed that 68 percent of the population perceived short stature as a genetic trait, whereas the real problem is inadequate nutrition, health and sanitation during the first 1,000 days from conception to age 2. Fortunately, adopting certain basic practices—such as adequate nutrition for pregnant mothers, exclusive breastfeeding, healthy hygiene and a nutritious, diversified diet after 6 months of age—can have a big impact. To dispel myths and promote healthy behaviors, IMA designed and implemented the campaign with funding from the Millennium Challenge Account-Indonesia. Through the NNCC, IMA aimed to reach a wide variety of audiences, from parents and other caregivers who control day-to-day child feeding and nutrition decisions to key government decision makers who determine public policies and program budgets. To reach caregivers in the project’s targeted districts, the NNCC took a bottom-up approach through its grassroots activities in villages. However, a top-down approach was also essential to ensuring the key stakeholders in national and district government understood the importance of planning and policy to reduce stunting. Throughout the campaign, the NNCC engaged in continuous dialogue and advocacy with key decision-makers in target districts. The NNCC held meetings with district parliamentarians and conducted district-level public discussions to facilitate public discourse about stunting, increase awareness and urge leaders to support stunting reduction policies and programs. The NNCC also assisted district leaders to develop district-level plans and to advocate for the use of village funds to reduce and prevent stunting. These plans involve a wide variety district level government officials, representing commitment from many stakeholders. Once established, these plans are then signed off as a mayoral decree, committing district budgets—a huge accomplishment that means plans to reduce stunting are backed by committed funding. Through this approach, the NNCC turned influential government counterparts from being the advocacy target group to becoming advocates for stunting reduction. For example, the head of Landak district has become well-versed in discussing stunting and its implications and has worked to move stunting to the top of the district’s health agenda. Moreover, in Landak and Kapuas, the district governments are in the process of issuing regulatory frameworks to accelerate stunting reduction, a major achievement for the NNCC effort. Through these efforts, we learned that government counterparts at all levels were happy with our help as this is a difficult process that requires planning and technical assistance. 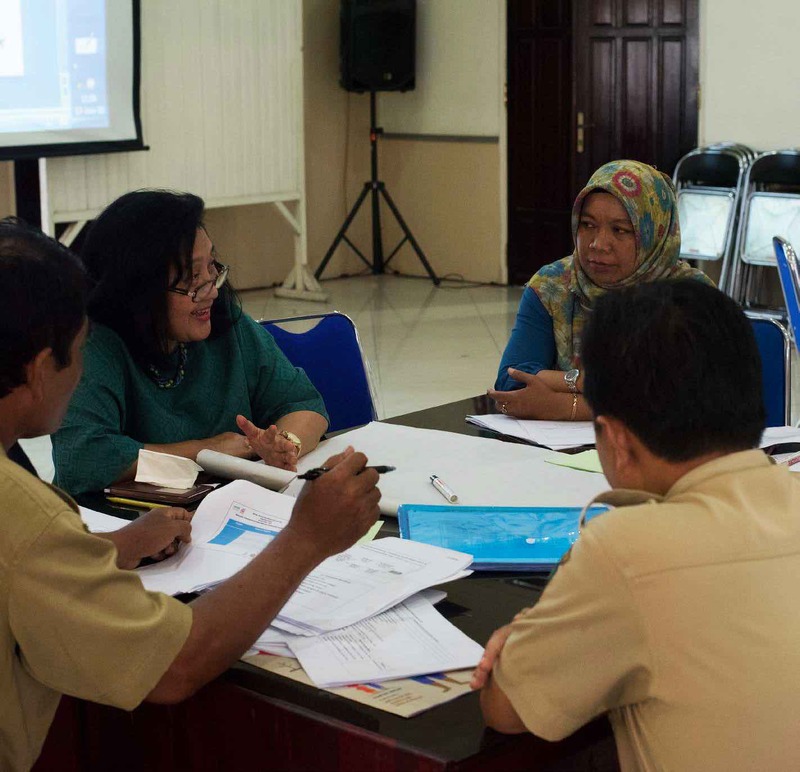 In Indonesia, FBOs have a vast membership across national and community levels, giving them a strong, influential position to advocate for supportive government policy and resource allocation to combat stunting. Through the NNCC, IMA worked to leverage the wide networks of FBOs to communicate stunting reduction messages and build capacity of their members. Ensuring FBO leaders were equipped with accurate information was a critical first step. The NNCC created an Interfaith Discussion Forum to provide a platform for numerous FBOs to meet, communicate and network for stunting prevention initiatives. Members of the forum include representatives from Fatayat, Nahdlatul Ulama, Muhammadiyah, Nasyiatul Aisyiyah, Pemuda Muhammadiyah, Pelkesi and the Salvation Army (Evangelical Christian and Protestant), Perdhaki and Konferensi Waligereja Indonesia (Catholic), Yayasan Buddha Tzu Chi and Perwakilan Umat Buddha di Indonesia (Buddhist), Parisada Hindu Dharma Indonesia (Hindu) and Majelis Tinggi Agama Khonghucu Indonesia (Confucian). These organizations agree that stunting is an important and relevant issue both for their members and their organizations and remain committed to advocate for stunting. As the mandate of the Interfaith Discussion Forum, FBO leadership agreed to strengthen and maintain the interfaith network to act as an advocacy group. To further leverage the reach of FBOs, the NNCC developed media resources that were tailored to appeal to the different characteristics of each faith in terms of language and imagery. NNCC worked closely with two of the largest FBOs in Indonesia—Nahdlatul Ulama and Aisyiyah—to reach target audiences through TV programming through their endorsement of key maternal and child nutrition and sanitation and hygiene messages. Advocacy based on clear and accurate information is a powerful and essential step toward building understanding and appreciation of the issues surrounding stunting. Based on our original grant agreement with the donor, MCA-Indonesia, IMA focused our advocacy and campaign outreach efforts in three of Indonesia’s priority districts. Our advocacy work had such a big impact in generating commitment in NNCC’s initial three districts that the donor and the national government extended the program to an additional eight priority districts as well as at the national level. Thanks to the concerted and continuous effort of IMA staff through the NNCC program—as well as through the champions these efforts created at various levels of government—the President of Indonesia has committed to focusing resources on training health professionals and improving the services offered to mothers and children. This is an incredible win for the NNCC project, IMA and the future of Indonesia. 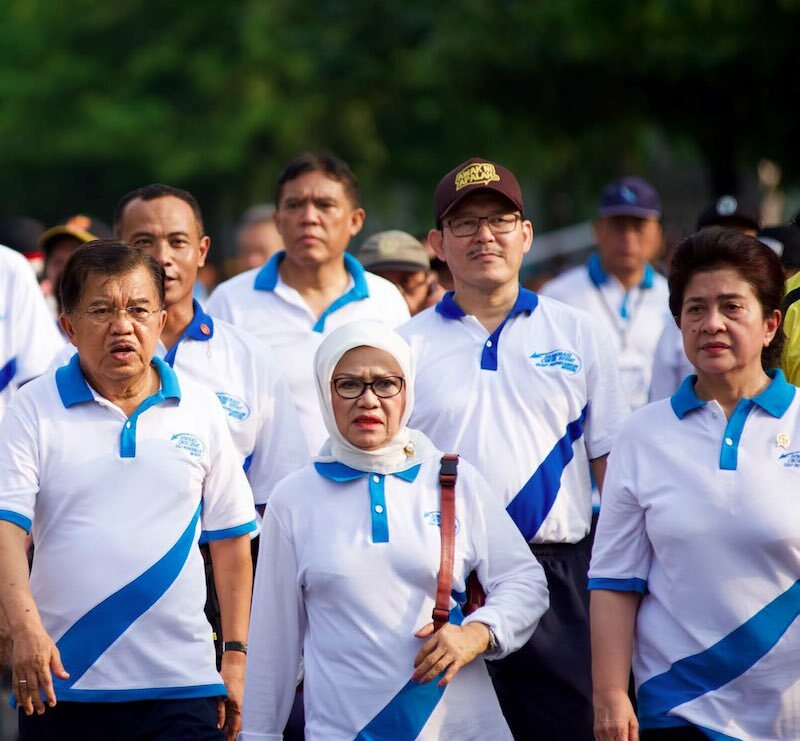 Vice President Jusuf Kala (left) and Health Minister Nila Moeloek (right) launched the NNCC with a march in downtown Jakarta as part of the National Health Commemoration Day.